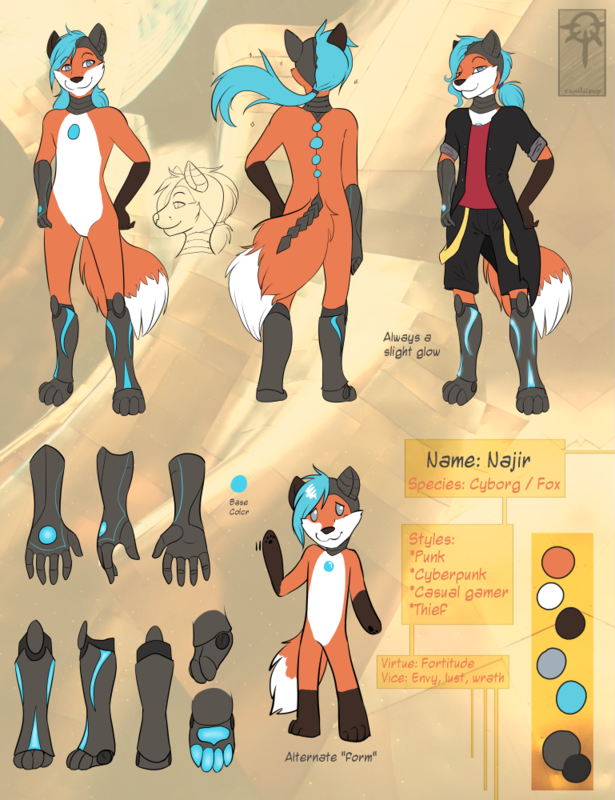 Originally a regular fox, he was fitted with cyborg parts at a young age. He has since fallen in love with robotics and makes his own pieces now. Not much is known about him yet. Pretty excitable, somewhat of a geek for machinery. Has three robotic limbs, his right arm (from the elbow) and legs (from the knee). He is also missing a good portion of his skull and neck, which are of course covered with robotics. He likes loose clothing, anything to show off what he's got... in the way of robot parts that is.